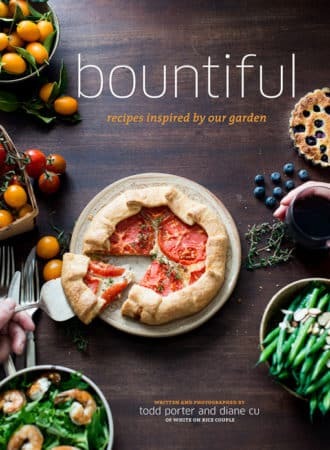 Update: Our cookbook, Bountiful, is now available to order on Amazon here. It’s our 300 page baby with over 100 fruit and vegetable inspired recipes. You can blame our garden for that. 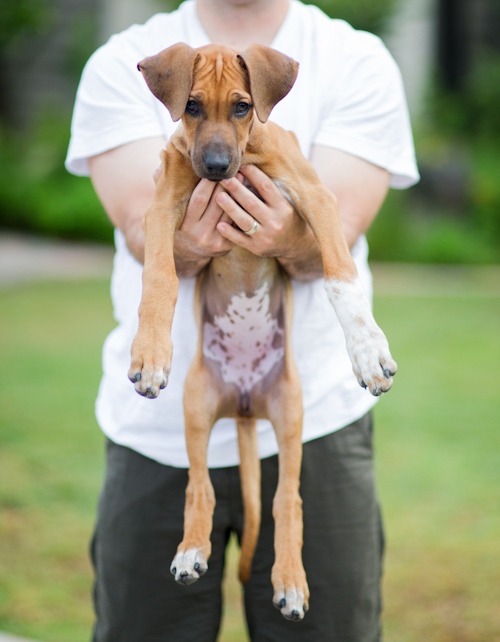 And also, some puppy pictures because our work would never complete without Sierra and Lexi! We’ve said this many times in the past and we’ll say it again… because of your friendship and support, our lives are richer in ways that we never, ever imaged. Your messages, comments and encouragement helped us define our voice. You helped us see, feel, understand and do more of what it is that we love so much. Over the past several years, we’ve been photographing and producing video for other cookbooks, but never really considered writing our own. Perhaps it was because we really didn’t know what it was that we wanted to write about and to trust that our ideas would work in a book. We wanted to find something we believed in 1,000% percent before we poured our heart and soul into printed pages. Every time you visit our blog and each of your comments re-enforces this belief to be real and honest. 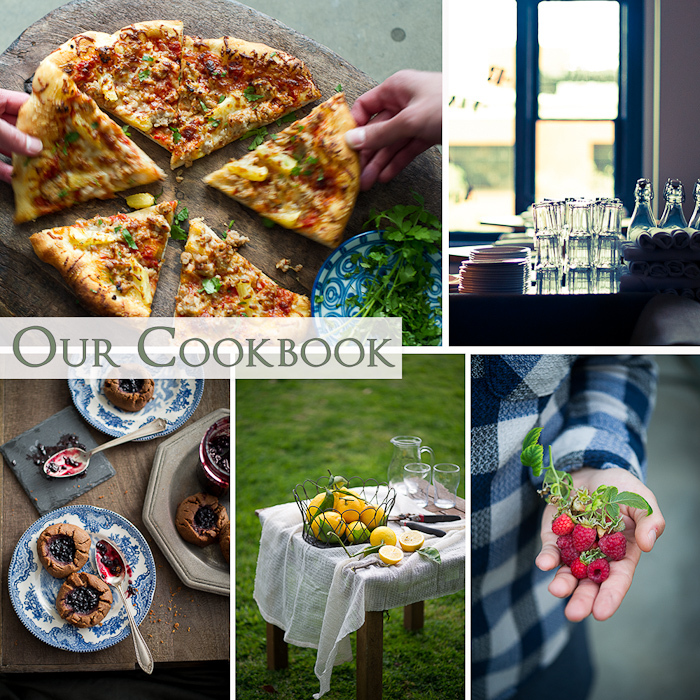 Because of your encouragement in us, we’ve found the confidence to finally write our very own cookbook full of garden inspired recipes, cooking stories and puppy pictures! This whole process is a little scary. Many authors have said it’s like giving birth. It’s a labor of love and one of the hardest, scariest, most gratifying experiences we’ll go through. We keep asking ourselves, are we ready for this?! Is it really like giving birth but without the Demerol? What will it be like to cradle our very own book in our arms? So many more questions come to mind. Our stories and unconditional love will be poured over the printed pages through intimate lifestyle photography and brand new vegetable/ fruit driven recipes. 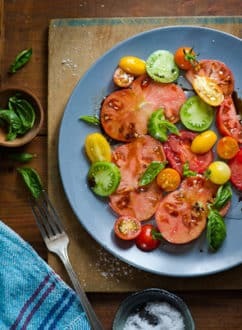 Your readership here let us know that you appreciated our fresh, garden inspired recipes. So, we’ll do much more of it and this whole storybook will be laced with plenty of our personal style photos, most of which will be new and original. Our hearts are racing. We’re anxious, excited, nervous and elated all at the same time. 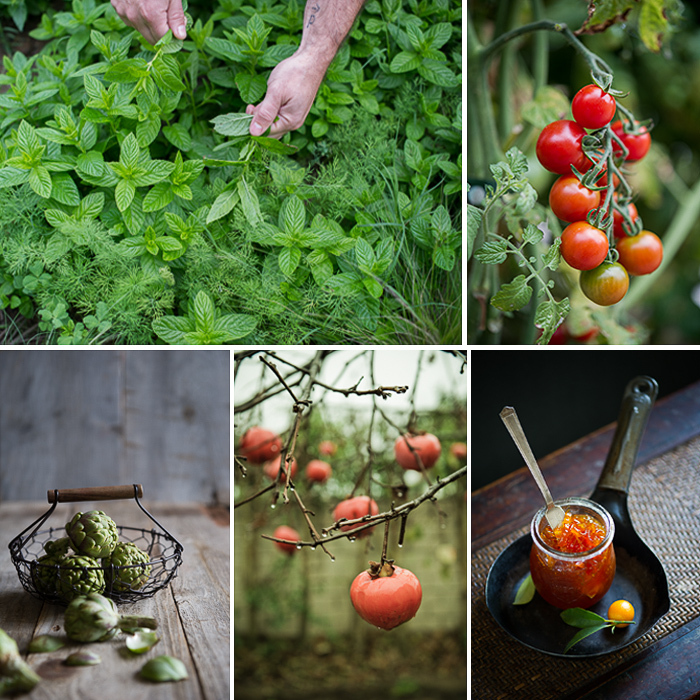 It’s been our little secret for some time now and if you’ve been following our instagram, we’ve been giving sneak peaks behind our #TDCookbook photographs and recipes. Now, we have the guts to share it with you all. We’re in the best hands with an fantastic team. Huge thank you goes to our wonderful literary agent Alison Fargis of Stonesong Press for helping make all this happen. Our amazing editor Dervla Kelly and supportive publisher Abrams Books have been incredible in making our dream come to life. 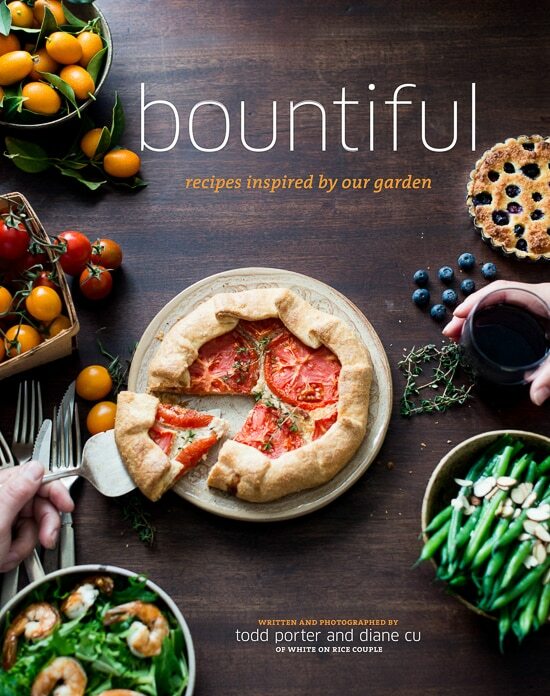 Have you seen the gorgeous cookbooks they publish? 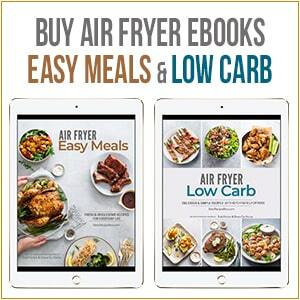 The Baked cookbooks and Sugar Baby are examples of beautiful cookbooks, gardening books and other works of art published by Abrams Books. Finally, the fun and crazy journey in all this is that the book is slated for release in Fall of 2013. So much work is ahead of this, but we’re finally ready for this process. THANK YOU to you all for helping us make this happen. This journey would never be the same without you amazing people. Congrats to you both! So excited to see your names in Publishers Weekly. Cant wait to see the book! I knew you when. Your AD on Christina…. Delighted for the two of you, I will definitely purchase! Hi Helene- thank you so much! Look forward to meeting you one day. Many congratulations on your cookbook venture! I’ve pre-ordered your book from Amazon CA and will be looking forward to receiving it in the fall. Even with no cover photo on Amazon, I know your book will be a hit just as your website is. Have to add I was a bit taken aback by the title for a few seconds as it instantly made me think of a very unpopular Polygamous Sect in my Province, but we all know including myself, a title/name has a lot more good and wonderful meanings compared to the very few not so good meanings. Looking forward to it! Happy for you and Congrats on the birth of your cook book! I heard you speak yesterday at BlogHer Pro and was so moved by your heartfelt presentation and video. Congratulations, and I can’t wait for your new cookbook. Congratulations, what a fantastic looking cookbook. You’ve inspired me. I know I’m late to the party on this, but I wanted to congratulate you both. I’m so happy for you and no one is more deserving than you! I can’t wait to see how your beautiful cookbook will come together. Wow great! I could feel your love in your page. Wonderful day! You really deserved this opportunity! So excited at this news and looking forward to it. I don’t believe I’ve ever read a more beautiful or heartfelt introduction for a book before. As you do with your blog, you make me feel part of your process, your journey and I am so grateful for every step! Gorgeous! It’s going to be the best – EVER! I’ve been so out of touch lately, mostly due to my crazy job, that I’m just now hearing your news. I’m so excited for you both! All I can say is….it’s wonderful and perfect news. Congrats! All I can say is YES!!!!!!!!!!!!! I am so excited! Can’t wait to get it! Sending you much love and warm congratulations from the Boonies! So well-deserved! It will be beautiful and full of love, I’m sure. Congratulations! I’m so incredibly excited for both of you. I just know your book is going to be amazing! Next fall can’t come quick enough. Congratulations! Can’t wait to read and use it, I am hoping for several recipes of the Vietnamese persuasion…. Great news, fabulous news. I can’t wait to hear more details, but KNOW that whatever the subject, I’ll love the results. (Well, unless you focus on boiled hominy and pigs’ feet, then not so much!) Wow, having it out in fall 2013 is going to mean you’re going to be flying fast. Wishing you a safe and pleasant journey. Hugs! Congratulations on the book! 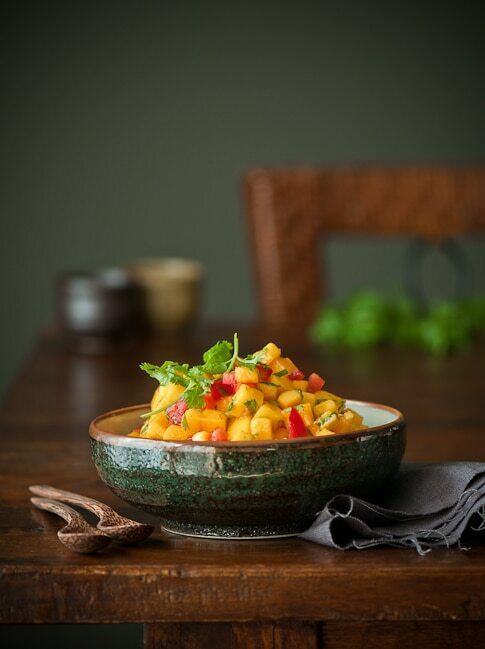 I’ve been working on a cookbook with a chef I’m working for and I have to say, it IS a lot more work than one thinks….. but really fun and enjoyable! It’s amazing how long the printing process takes. If you ever need someone to help, I would love to!! I always loved your recipes and food ideas! Oooh! I want to see puppies on the cover! I have no doubt this will be a stunning collection of photos, stories, and inspiration…can’t wait to see it. Congratulations to you! Will the new puppy be making a guest appearance? I thought you might be announcing this soon 🙂 Just had a feeling. I know it will be amazing! That’s fantastic! I can’t wait to see it. Congratulations! I have been reading your blog for a long time and never comment, but I am so excited for the both of you, and will enjoy seeing your furbabies mixed throughout the pages. I can’t wait to get your cookbook! Enjoy your creative time working on it. I cannot wait to put my hands on your cookbook. 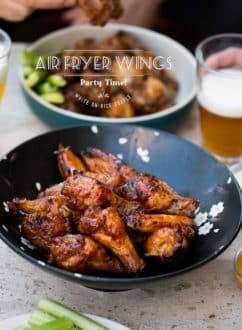 I have been following your blog from Toronto, Canada for over a year and your writing, recipes, and wonderful photos have bridged me over quite a few long winter evenings and inspired memorable culinary moments with friends. Congratulations! Congratulations! Sounds like it’s more like giving birth to a horse 🙂 They get an 11 month gestation period. Who knows, those extra couple of months could make all the difference. If not…a horse-size-pill Demerol is in order – ha! This is wonderful news! Congratulations. I can’t wait, I know it is going to be fabulous!! congratulations! 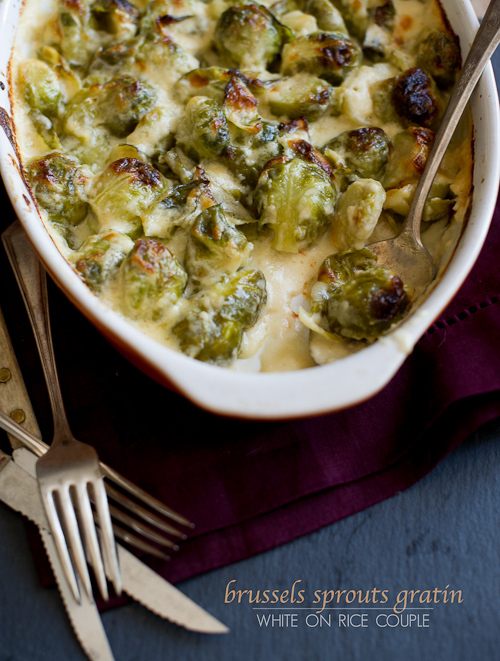 your blog is so amazing–can’t wait to see what you do with a cookbook! Oh my gosh this is such exciting news – CONGRATULATIONS!! Well deserved! Can’t wait to read it! Congratulations guys.. Well deserved… I shall be your first buyer lol.. So cannot wait for your cook book..
YAY! that is such fantastic news! I just know it’s going to be absolutely GORGEOUS!!! You both more-than-deserve it. This is wonderful news. that is SO exciting!! i can’t wait to have your cookbook. congrats!! No pressure, but the pre-orders start when? Congratulations! A new cookbook and a new puppy. Alls right with the world!!!! Congrats! So looking forward to it. Lovely pics, esp the one of the persimmons after a rainfall…. Finally! Can’t wait to read it – and buy a copy! Congratulations. Very proud of you both. I know this is not an easy thing to create. How exciting! I can’t wait to see it. How wonderful! I am so very pleased and happy for the two of you! I enjoy your site so much. I especially love your wonderful videos and heart warming stories of every day occurrences. The photography is superb and the book will shine with success. Looking forward to watching the process unfold. You two are an amazing team, and I can’t wait to see the book you create together. Congratulations! 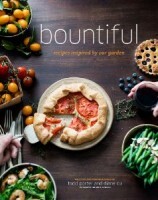 I am pretty sure that this will be one of the most beautiful cookbooks ever. Congrats! This is so exciting and much deserved. You guys are such an inspiration and I am so happy for you! I am sure it will be beyond stunning and I can’t wait to catch a glimpse! This looks incredible. The photography is breathtaking, and I know from experience that the recipies will be outstanding. Can’t wait to get a copy. Congrats. I’m so happy for you and I can’t wait to read it! I had always hoped you guys would come around and publish a cookbook! Many happy congrats to you both. I know it will be fabulous!! Wow, what exciting news!! Congrats to you both! I can’t wait to get my hands on a copy and leaf through the pages, admiring your fabulous pictures and delicious recipes. I’m sure it’s going to be a masterpiece! So excited for this, can’t wait till next fall! YEAH!!!!! So how do I pre-order your book????? 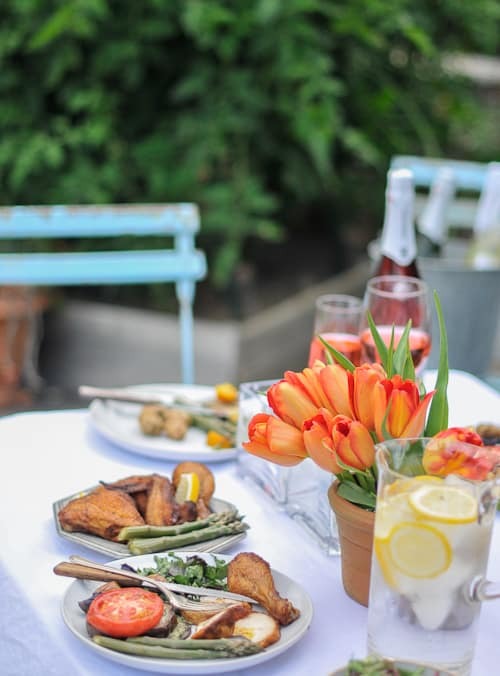 I am thrilled for you, yes, I know it takes a lot of time and effort and sacrifices to put a book together, much less a cookbook with your awesome photography included! Cannot wait to see and hold it and USE it!! Congratulations and will sit somewhat patiently awaiting the “birth”! Another step in your amazing journey-congrats! I look forward to the sneak peaks as you move towards the finished product. Congrats!!! Can’t wait to see your cookbook! When can we schedule a party to celebrate ?! So happy for you! I am sure it will be a hit… exciting times. Congratulations – so well deserved! congrats!! I am so excited for yall!! Ahhhhhhh super de duper congrats! congratulations Guys… !!!! I read it early this morning on your blog… cannot wait to place it on my Amazon buy list! Such exciting news!! So happy for you two and can’t wait to see it!! Huge congratulations!!!! xoxo and love to you both!! Can’t wait to see you both and the pups soon! Congratulations!! I am over the moon excited for you!!! Yay! What a great way to start the week with. Congrats! So happy for you both. I can already envision how beautiful it’s going to be! I couldn’t be more excited to work on this with you guys! We at Abrams are lucky to have you. We’ll create a gorgeous book together. Lovely news! Congrats you two! So deserving! Can’t wait! Definitely will purchase it!!! Can’t wait to hold a copy in my hands!! Congratulations! YES!!!!! I could not be happier for you two! Great news, I love everything about your blog, the personal style, the honest approach and writing. And the pictures… I’m sure the book will be awesome! This is so wonderful!! So proud, excited, and thrilled for you guys! Congratulations, you two! This is fantastic news. From your photography to your writing to your recipes, I know this will be a cookbook I will go back to again and again. Many congratulations to you both for all your much-deserved success! Hearty congratulations to you both! Can’t wait to cook from it and just to breathe in your arresting photos! Yeah!!!!!!! I few years back I made this prediction, I clearly remember saying “someday you guys will write your own cookbook”. Looks like I’m not the only one who thought that! Can’t wait to get that baby in my hands! Congratulations! What wonderful news and I can’t wait to get my hands on it! I nearly wet myself when I read this post, I’m that excited. I shall shout it from the rooftops the moment it’s released (and most likely before then too). And because my birthday is in the fall, I shall consider this the best birthday present ever. Thank you. A huge congratulations to you two! Well deserved! Wow, this is such exciting news. So thrilled for the two of you…congratulations! big congrats to you diane and todd… i seem to remember you tweeting some time ago, perhaps a few years back, that you decided to turn down a book deal (for your own cookbook). and as much as i respected your decision that you wouldn’t do it unless you felt it right, i couldn’t help but thinking it’d be wonderful if i got to see your cookbook. now it’s happening! so excited! Hello Chika- wow, you have a great memory! Yes, a few years back we turned down a few offers because it just didn’t feel right. This cookbook journey is very important to us and we made the commitment to wait till it felt right. We’re much more grown up now and know what we want to say and share. It’s because of you all that helped us find our voice for the cookbook! Great news and congrats to Diane and Todd 🙂 I can’t wait to read your cook book and learn how to make lots of delicious food! Party at my house next time!! Can’t wait for the cookbook to come out! I’m also looking forward to the photos you’re taking for the book. I’m sure they’ll be beautiful. Wow, fantastic. We know it will be totally incredible! If you need a free set of hands (two sets actually), you know the number..hugs and blessings on your bringing your cookbook to life! And I can actually handle a camera now Diane. Been working on it. You’d be proud of me. Your encouragement meant a lot. A big congrats from me on this new cookbook. Always loved your cooking. Glad to have chance at cooking it myself. Will definitely pick up this book. Congrats Diane and Todd!!! I am very much looking forward to seeing what you create and am sure it will be a labor of love and then some! How great is this? I can’t wait. Congratulations. OMG – finally the universe is rewarded with true knowledge from the heavens, congratulations Todd & Diane ! I can’t wait to buy and USE your new book. A credit to the culinary world and a masterpiece for the world to follow …. please keep them coming ! Congratulations! I can’t wait to see the cookbook! I’m definitely looking forward to it!